GM wants to take the advantage of growing Indian auto market and is planning to launch four new models in 2011, these four models include a small car, two mid sized sedans and one utility vehicle. GM also inaugurated flexi engine plant which is capable of producing both petrol engines as well as diesel engines in the same plant. General Motors is planning to release 800 cc Spark which can be a competitor for Maruti Alto and the it may come in both LPG and CNG variants. 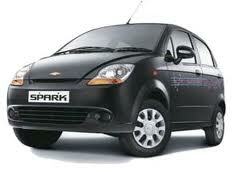 This Spark may have design of Daewoo Matiz a 800cc car that got huge popularity in India. The eco friendly LPG version of the Beat manufactured by GM motors, with new locally developed SMARTECH engine, is available in two versions LS and LT. It has 3 years or 100,000 kilometer warranty. Chevrolet Beat LPG features advanced LPG technology with multi-point sequential injection that provides a smooth transition between petrol and LPG with no loss in power, jerking or backfire. GM sells Sail hatchback in china and introducing it in India solves problems with the two competitors, Maruti’s strategy with the Swift and Dzire and Tata’s strategy with the Vista and Manza. The next car from GM is to upgrade the Optra, which is a mid sized sedan from the Chevrolet range. It is a seven seater European van and it is like Tata Aria in the Indian market. It can be the perfect rival for Toyota Innova. 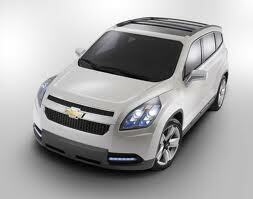 GM said that the car will be sold in emerging markets like India and China.